You can easily combine your love of fitness and an interest in teaching for a career as a fitness trainer. You can utilize this as a part-time or full-time career. Getting started simply requires finding a training program you like and registering for your first class. Once you finish your training, you’ll need to pass an accreditation exam before starting work. The growing field of fitness training has plenty of room for new professionals. The US Department of Labor projects that between 2012 and 2022 this career field will grow by 13 percent. Starting a career as a personal trainer can be overwhelming, however, there are some steps you can take to help you prepare and begin your journey towards certification completion. 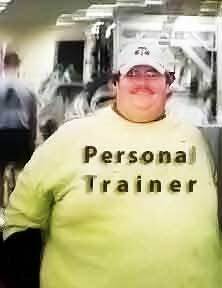 Start and maintain your career as a certified personal trainer by following these five tips. 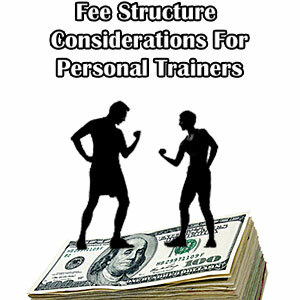 Each state and locality differs in what’s required to call yourself a personal trainer. You’ll also need to look at the requirements of potential employers. In general, larger gyms and most chains look for employees who received their education from a school accredited by the National Commission for Certifying Agencies (NCCA). The NCCA accredited programs that lead to the ACE personal trainer Certification, Group Fitness Instructor, Health Coach and Medical Exercise Specialist. While some areas require only a high school diploma and coursework in fitness training, others require an associate or bachelor degree in exercise science or kinesiology. Some require you to intern with a certified fitness trainer for a specified amount of time. Once you know what’s required, you can choose the program that fits your needs. You can study through an online or bricks-and-mortar school. The majority of students spend 80 to 100 hours of preparation time during a period of time spanning three to four months before taking the ACE Personal Trainer Certification exam. Some programs include the cost of the certification exam. Check your program. If it does not cover the test fee, you’ll need to pay it separately. Some programs require you to register for the certification exam within six months of purchasing the study materials, but that does not mean you must test within six months. You can register for a test date that occurs months later. Once you successfully pass your exam, you receive many benefits, the most major being that you’re far more employable. After passing the ACE exam, for example, you receive a wall certificate, wallet ID card, equipment discounts, access to ACE apparel and the option to purchase group liability insurance. The NCCA requires all ACE certified trainers to successfully complete 20 hours of continuing education credits every two years. The standard of requiring 2.0 CECs every couple of years ensures that professionals keep up on the latest safety and health developments. You do not need to complete your CECs at the same school that you attended for your initial training. You may complete them at a conference or convention, when offered, or by attending a course at a local community college. If you love fitness and teaching, a profession as a fitness trainer may be right for you. Although requirements vary by location, in most locations, obtaining the education required for an entry-level position requires less than a year. Check the NCCA site today to get started finding an accredited training program in your area.